Evenflo's Piqua operation is the central distribution point for most of the United States . 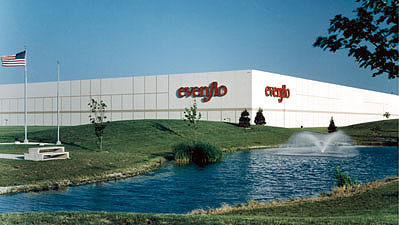 Completed in 1997, the 130,000 SF facility allowed Evenflo to consolidate inventories that were stored in several locations throughout Miami County . Growth of the company was so rapid it was necessary to add eight feet to the building height late in the design process, increasing capacity by 25%. Safety and efficiency are the key elements of this bright and cheerful facility.